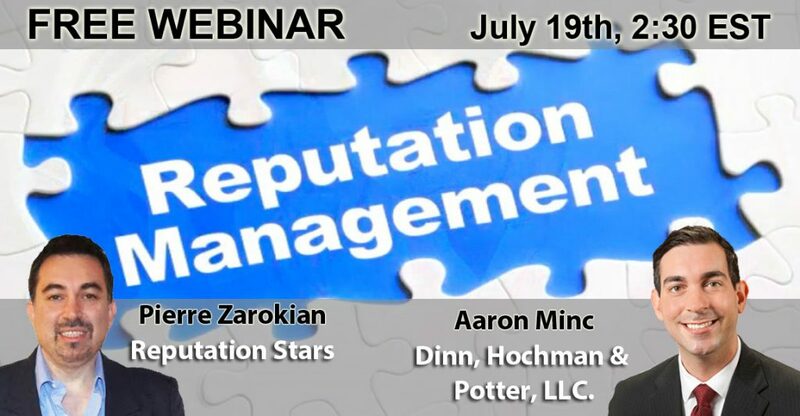 Our CEO Pierre Zarokian and attorney Aaron Minc from Dinn, Hochman & Potter, LLC will be doing a free online webinar on July 19, 2016 at 2:30pm EST. – Why Yelp is so important! – Discussion of other review sites and how they work, including: Google+, Ripoff Report, BBB and others.